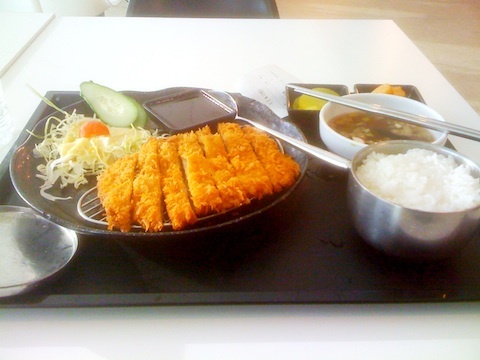 Here’s the my dinner at the Incheon Int’l Airport in South Korea. On my plate is fried pork cutlet with dipping sauce and a side of cole slaw. There is a bowl of a spicy Miso soup and a bowl of steamed white rice. There is also some of standard spicy side dishes like Kimchi potatoes and slices of pickled ginger. Jealous, Teddy?